Over the years I have accumulated a repertoire of various internal martial arts forms and practices from a number of teachers and on reflection I don’t think I’m an easy student as I’m always cross-referencing what I’ve learned. Back in the day, there was no internet so I’d be scrutinising the handful of books that were available and comparing what I was being taught to what was in the books. Nowadays, as this column testifies, we can reference a very diverse and growing mountain of literature along with an array of original Chinese martial arts manuals (check: https://brennantranslation.wordpress.com/). On YouTube there’s amazing footage amid an increasing sea of dross. Maybe there’s too much information and you end up spending all your time on-line or collecting books instead of practicing. Not that long ago Chinese martial arts were shrouded in mystery and it appeared that only few inner door students got the real teachings. Today, there’s a wealth of information available which can clarify why you might feel that the curriculum offered by a teacher – despite respecting him or her – doesn’t offer a path that you intuitively feel you need. One invests a lot of time, effort and belief in training in internal Chinese martial arts and while I enjoy my practice and continue my journey undeterred it can be frustrating. Not only, do you meet people who’ve trained less time than you but have superior martial skills you can also have periodic doubts about one’s own internal practice. There’s a lot of truth in the saying, “Who feels it knows it”. The history of the internal martial arts in China shows a wealth of exchange between practitioners. 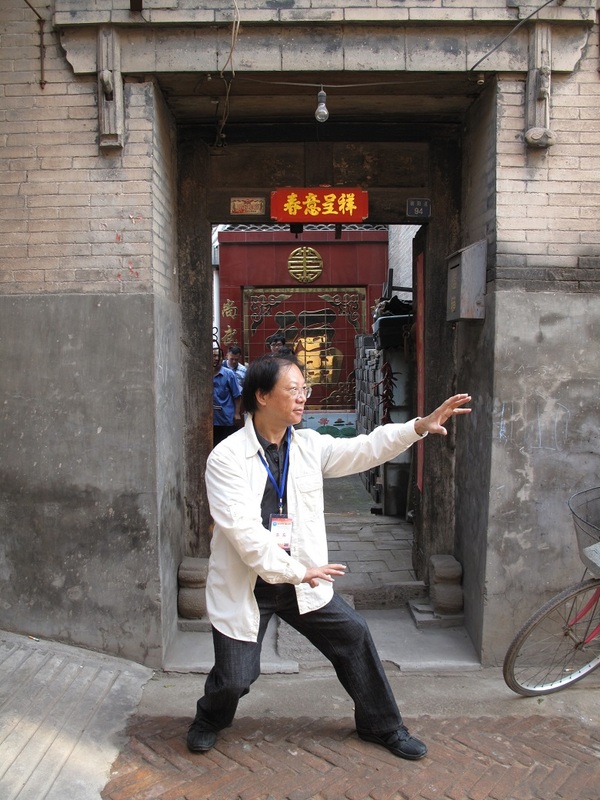 It’s how they have evolved and currently having the opportunity to explore the qualities of the three main arts of taijiquan, baguazhang and xingyiquan is an interesting challenge. Maybe, my restless questioning and that elusive search for more depth will finally prove worthwhile. So, before I go to the park and do some actual practice I want to pen a few words about a new book, a comprehensive guide to Yi Quan, a martial art practice focussed on intent, that I touched on a few years back and became part of my own journey. Above: Yao Chenrong goes through the postures of Yi Quan… sorry it’s in Chinese… but you get the vibe! CS Tang’s Yi Quan manual. 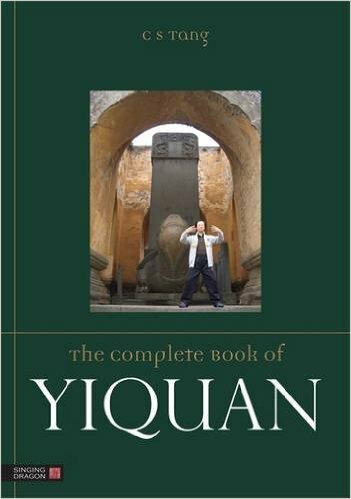 The Complete Book Of Yi Quan has been put together by Hong Kong based martial arts master – CS Tang. I first came across this dedicated practitioner when I tracked down and bought some interesting stuff from his online shop. He clearly had a relationship with a lot of contemporary masters and was very active and well known among the Hong Kong’s supa-diverse martial arts community. 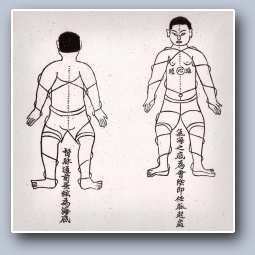 At that time, to complement the various Chen and Xing Yi forms I’d learned I was looking into Zhan Zhuang – static standing practices which were conceived to develop power. I had already incorporated into my own Chen practice a set of standing postures taught to Hunyuan Chen taiji master Feng Zhiqiang by Master Hu Yao Zhen – the founder of modern Qi Gong. 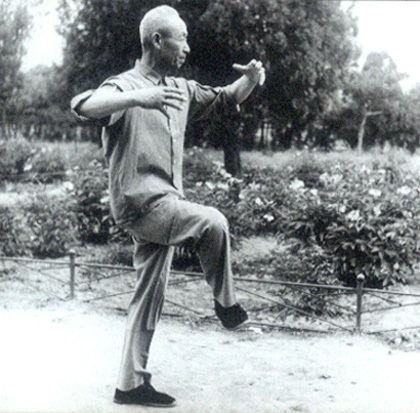 Through training Wang Shujin’s Xing Yi Quan I had also started practicing his Eight Standing postures. As Wang Shujin had studied with Wang Xiang Zhai – the founder of Yi Quan – it was short step from there to exploring the art itself. The internet provided easy access. There were texts of Wang Xiang Zhai available to download on-line and and one could view various students of his on YouTube. I was curious and having a little bit of spare dosh back then I treated myself an Xmas present of an on-line training course linked to the sons of Yao Zong Xun – an inner door student of Wang Xiang Zhai. 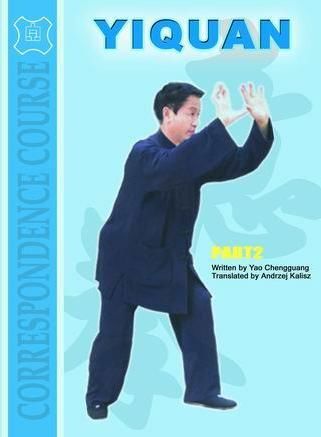 The comprehensive set of DVDs and the accompanying manual had all the basic routines of of Yi Quan including the Zhan Zhuang postures, Shi Li (test Strength exercises) and Mo Ca Bu (footwork) etc. While Yi Quan has the appearance or a reputation as a stripped back, simplified system of health and self defence that’s not the case. It was immediately clear as started working my way thorough the DVDs that Yi Quan was inevitably, in essence, complex. I liked the visualisations that go with the static and moving postures which are intended to focus intent. The solo movements, punching and footwork – the Fali/emit strength – were all good but in the end you need people to train with and give you those crucial tips and corrections. I believe in hands on corrections. The concepts and methods of Yi Quan are definitely worth taking on board. Wang Xiang Zhai was a modernist and his methodology was a response to the times. 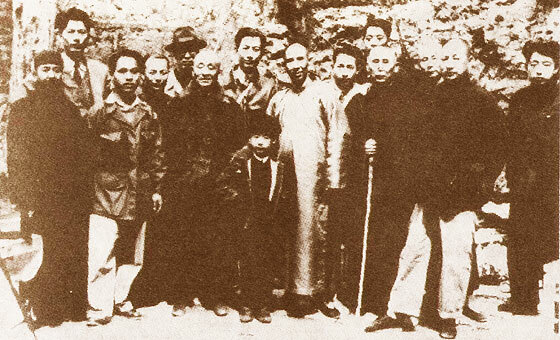 Yi Quan was born out of an era post the Boxer Uprising of 1900, when the secret society of the Righteous and Harmonious Fists led an rebellion against the spread of Western and Japanese imperialism. By the mid 1920 and 30s there was a lot of necessary exchange between martial arts masters and that included actual combat. Wang Xiang Zhai was undefeated and therefore remains an influential and radical figure at that time. Master CS Tang’s book is clearly a labour of love. Published in conjunction with Swimming Dragon it’s a chunky tome that weighs in at just over 400 pages. It’s thoroughly researched and for anyone interested in the practice of Yi Quan or the internal martial arts potentially very enlightening. The first section of the book – six chapters -is given over to the the history. It details the evolution of Yi Quan through it’s founder Wang Xiang Zhai but also details the influence of Liang Zi Peng who was hugely influential in bringing Yi Quan to Hong Kong. Liang was credited by Bruce Lee as his internal martial arts teacher. This section also sheds light on the author’s own path to Yi Quan. Part II – Chapters 7-23 – delivers the ‘System Of Yiquan Training’ and rapidly progresses from overview of the training to the details of Mater Liang Zi Peng’s compact ‘Southern Yi Quan’. No stone is left unturned. Everything is broken down and the manual/workbook aspect of this book deals with details of practice and post practice. We also get specific programmes with recommended time allocations i.e. Ten Combat Strength practice program for a 60 minute class. Check out Chapter 14 which is devoted to the postures of different masters like Wang Fu Fang (Wang Xiangzai’s daughter), Yao Zhong Xun & his sons, Wang Bin Kui and Yu Nong Nian amongst others. Part III offers advanced techniques in relation to Big Step and Fist Stances, the Jian Wu (Fist Dance) and weapons before going onto a section on health, “supernatural power” and teaching and gradings. The modest conclusion outlines Four factors that lead to success in Yi Quan along with thoughts on the purpose and the way of learning martial arts. Whether any book is “The Complete…” version of anything but for now this book is the benchmark and I suspect it will become a well-thumbed reference in the years to come. Vintage footage of Yao Zongxun, formal successor of Wang Xiangzhai(the creator of Yiquan). This entry was posted in Deep stuff and tagged Chinese martial arts, CS Tang, Great Achievement Boxing, Hong Kong, Liang Zi Peng, neijia, Plum Publications, Singing Dragon, Wang Shujin, Wang Xiang Zhai, xing yi quan, Yao Zong Xun, Yi Quan, Zhan Zhuang. Bookmark the permalink.